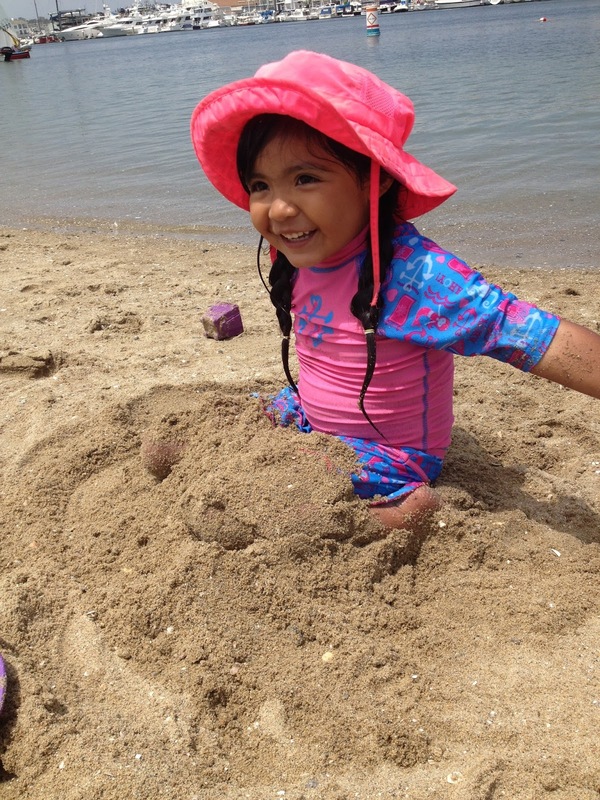 Summer is coming to a close and oh what a summer it has been. A summer of so many firsts, a summer of so many finals, a summer of starts and a summer of finishes. And as we prepare to move off of the mooring ball that has been our "home" for the last few months, our hearts pound with excitement. 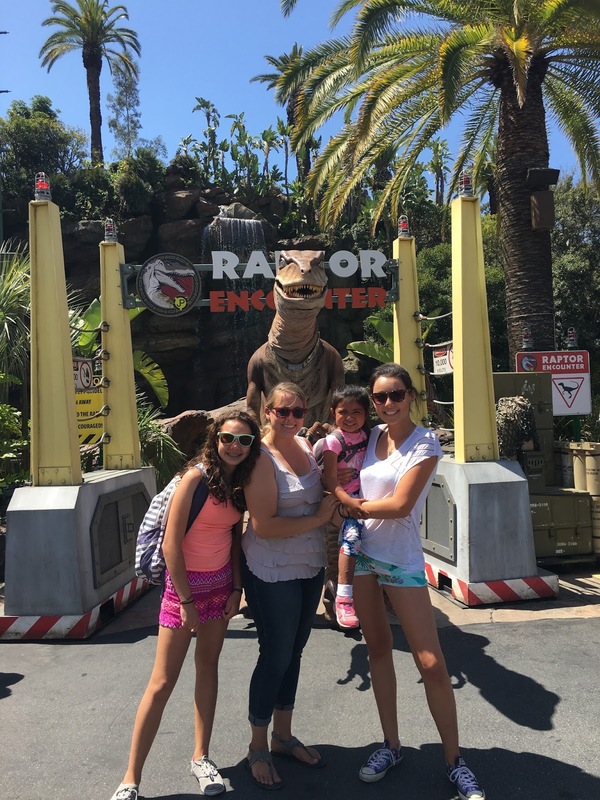 Hanging out with some dinos at Universal Studios! The summer months afforded us our first opportunity to live independent of land. We have learned to manage living with limits...limited power, limited water and to some degree limited transportation...oh and let's not forget those moments of limited patience. Hey, even when life is great there's still those moments. We have done an abundance of work on Empyrean while here in the harbor and she is now almost ready to begin our journey. We have worked hard to equip her with all of the things she will need to provide our family with a safe and comfortable home as we begin life's next chapter. Hannah is enjoying her new float! The summer has been full of changes. We celebrated as Emily graduated high school and worked her first "real" job. She was able to put aside some money for her own cruising kitty. And even though she is excited to begin our travels, saying goodbye to friends is always hard. 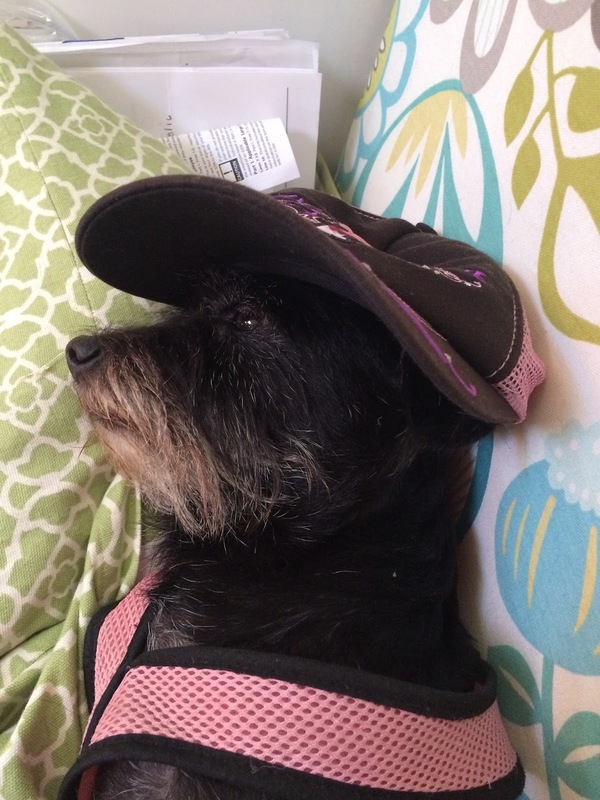 Hannah turned 13, she now joins the ranks of teenager. Time sure does fly, it seems we were just in the toddler phase. 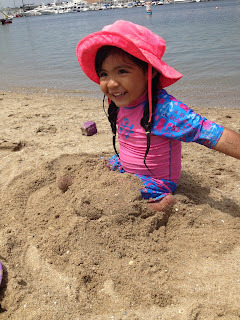 Even though Hannah is the most nervous when it comes to change, we can see her excitement with improved sailing skills and she is really working at her Spanish language studies. The plan is to move onto a dock here in Newport Harbor today. This will give us an opportunity to prepare for our upcoming sail to San Diego. 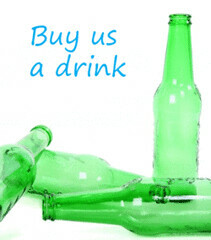 It will be easier to finish bringing on supplies and also make it possible to have friends and family visit with us. On Monday we will begin our sail down to San Diego. 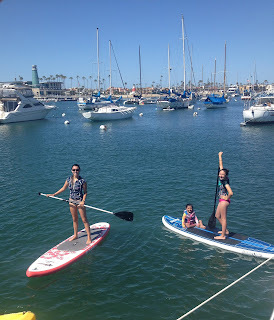 We will spend about 6 weeks in San Diego Bay with more family coming from the east coast and of course a few more projects. Our departure with the Baja Haha rally is scheduled for October 31st at which time we will head to Mexico where we will be spending the winter. Within days our family will again be taking on the challenges of this adventure as we leave behind jobs, friends, family and familiarity. Their will be moments of tears, sadness, fear and anxiety, but this is the moment that we have been working so hard to achieve and we couldn't be more excited! We are beginning the adventure of a lifetime. One chapter ending and a world of chapters awaiting to be written. Enjoying a family dinner. Thankful to have Elainey with us! Here we are...attached to a mooring ball in the middle of Newport Harbor...and time is flying by! It is hard to believe that the summer has flown by so quickly. We have been ticking off what seems to be an endless list of chores in preparation for our departure which is quickly approaching. The blog has definitely been neglected and for that I am sorry. It seems there are not enough hours in the day right now and most nights we fall into bed exhausted. But we are here and our plans to set out on this adventure of a lifetime are coming to fruition. And we are excited, boy are we excited! And nervous, anxious, tired, sad, happy...the emotions are all over the place. But, for the most part we can't wait!! Let me catch things up to where we are. 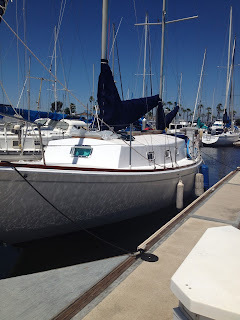 After our stint in the boatyard, we spent a few months parked on a dock in Long Beach. While there we added a wind generator, davits for the dinghy and rails to hold the solar panels. We also set up the mainsail with lazy jacks and a sailpack and shortened and raised the mizzen boom to make it safer to handle and increase our deck space. We replaced all of the lifelines and added rails to the aft section along with lifeline netting. I spent a few warm days redoing the nonskid and the deck is looking pretty awesome! Empyrean really began to come to life. The end of May we left the comforts of the dock and headed to a mooring in Newport Harbor, where we currently reside. Here we have continued to work hard, updating systems, increasing our battery bank, adding the solar panels and lots more. The work seems never ending, but we are learning so much about ourselves, our new home and way of life. Going the route of a mooring ball was really good for us. I think some people thought we were crazy to give up the comforts of the dock while we still had so much to do. For me, I couldn't be happier we did it this way! We have learned how to manage our systems, conserve water and power, accomplish goals and meet our needs with minimal resources. All of this will be important when we leave in a few months to begin our adventure. It has been great to get the skills in while we still had resources near that we could fall back on. We have lugged water from shore, hauled heavy batteries and dinghy motors (one that died and it's replacement) on and off of the boat all while sitting in the middle of the harbor. We have figured new ways to do things and really started teaching ourselves to think outside of the box. I have to admit that as much as we embraced the idea of this lifestyle and as excited as we are about it, we are products of the American way and we have really had to use discipline to retrain ourselves. We will remain here on this ball for the next 4-5 weeks and then we will head down to San Diego. There we will finish up some of our projects, take some time to visit with family and friends and then it will be off with the Baja HaHa 2016! Our departure to Mexico is set for October 31st, just 2 1/2 months away, so hard to believe! We will be updating the blog regularly as we travel, we hope that family and friends (old and new) will be able to follow along with us through our blog. We will share the ups and downs that this cruising lifestyle affords us along with pictures of the amazing beautiful places and people we encounter. Maybe we will even be able to inspire another family or two to follow their dreams, whatever those dreams are! Stay tuned...this adventure is beginning! unmanned underwater vehicle (UUV). The bright yellow aluminum UUV parked itself next to us early one gloomy Saturday (April 9 to be exact). You may be wondering what Echo Ranger is doing in a shipyard located in Dana Point. To put it plainly she is getting ready for a trip down into the depths off of our beautiful California coast. 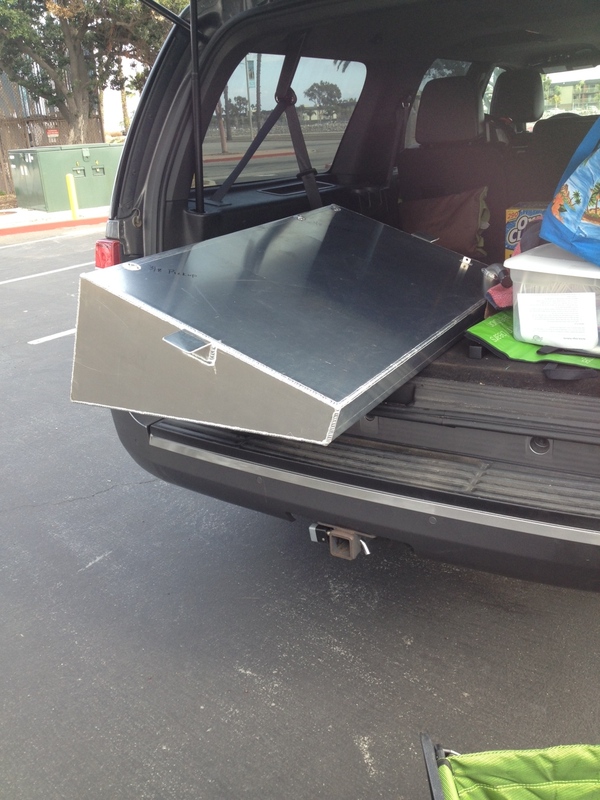 She is taking a coastal trip down to San Clemente and will be conducting underwater navigation testing. For more information about Echo Ranger and her adventures check out the Boeing website. Today marks 28 days since we left our berth in Long Beach and headed to Dana Point to begin a week and a half of work at Dana Point Shipyard. We had carefully planned everything to coincide with Tom's vacation, we had a lot of projects and not much time. In hindsight that probably wasn't a realistic goal, but oh well. Now I sit here in the cockpit admiring the beautiful view of Dana Point Harbor and Doheny Beach, it is an amazing view from up here, some 14ft in the air. It is hard to believe we have been living in the boatyard for almost a month! We are definitely longing to be back on the water as we watch the boats enter and exit the harbor, their sails luffing lightly in the breeze as they sail on the bright turquoise waters just off of the shore. But wait...I am getting ahead of things, maybe I should back up a bit and clarify how we got here and what we have been doing since our arrival. The sail from Long Beach on Monday morning was awesome! It was the first time we had left the dock since we had pulled into our berth in December because we had been so busy with replacing the diesel tank and working on our water and electrical system. The day was sunny and there was enough breeze for us to sail most of the 6 hour trip only turning on the motor for the last hour. Along the way we were visited by dolphins, a sea lion or two and even a whale! We dropped the hook in our anchorage at Dana Point just as the sun was beginning to set and were able to enjoy a hot bowl of homemade chili that I had started in the Wonderbag before leaving Long Beach. On Tuesday morning the guys at Dana Point Shipyard unstepped the masts and we began prepping them for sanding and painting. Our plan was to spend the first few days working on painting the masts while we waited for our rigger, Ed at Downwind Marine in San Diego, to get all of our new rigging ready to install. We were doing most of the work ourselves but would never have been able to accomplish the task had it not been for all of the help we received from everyone at Downwind. We are so impressed with all of the help they provide, answering countless questions and always assuring us that we could do this. Thanks guys, especially Ed!! All was going well with the mast work and on Friday we were ready to haul Empyrean out of the water. We would clean and paint the bottom and replace all of the thru hulls. 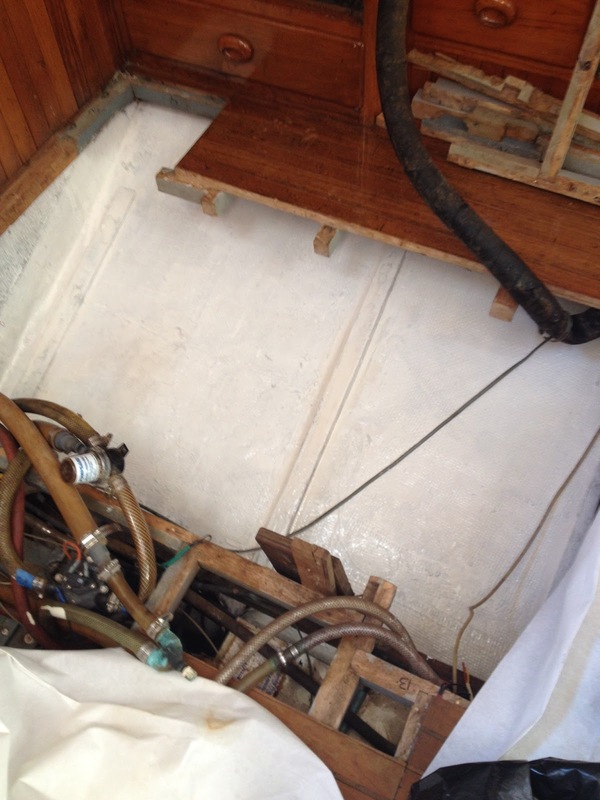 The yard would work on replacing the cutlass bearing and repacking the prop shaft and rudder housing. We would also be installing new spreader lights, repairing the anchor light, installing new B&G 4G Radar Dome and all of the antennae that we would need to accommodate all of our new electronics. In addition to all new rigging we would be adding a mast track system, new (to us) main sail along with lazyjacks and sail pack. Along with the boat work we still have all of our regular daily activities including schoolwork, cooking and laundry since we are living on Empyrean, as we officially moved aboard on March 1st. Emily tends to add her own flair to work in the yard! Unfortunately as work moved along we realized we had some pretty significant pitting in our prop shaft and so we placed the order for a new shaft and began the waiting game. 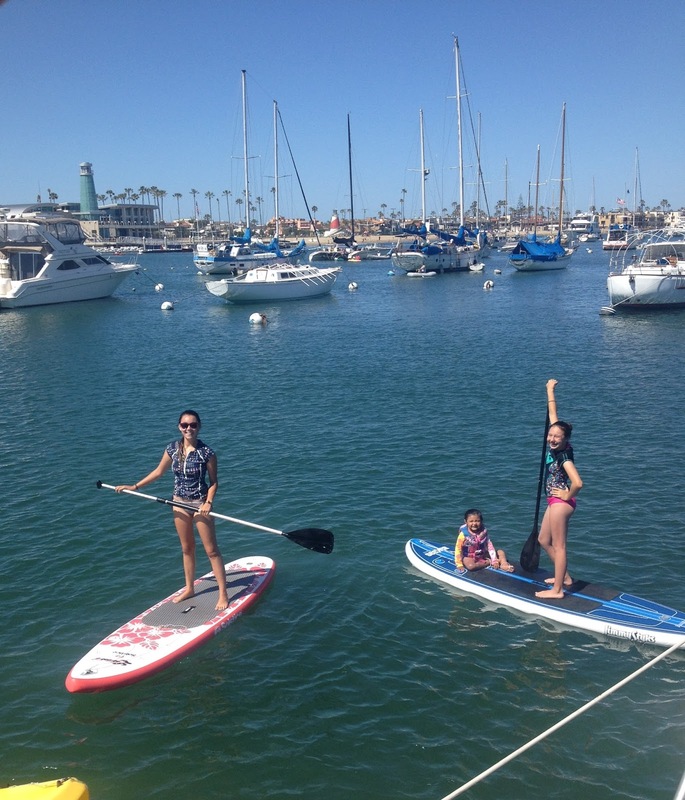 Tom would go back to work and we would continue life from right here in Dana Point Shipyard, not much else we could do. We settled into life on the hard as best as we could, we celebrated Easter and even colored eggs. Finally the new shaft arrived and the guys worked to get it installed. All of our work was complete and everything looked great. On Tuesday midday, 3 weeks from when we had arrived, we got word that the guys were ready to put us back in the water. Empyrean was lifted in the sling and lowered carefully into the water...and then as I stood there watching I heard the words "we have a leak". There was a tiny bit of water coming in near the shaft housing. It was minimal but not acceptable. It seemed that a small possible void in the fiberglass had been disturbed during the shaft replacement and so hauling us back out was really the only option. And so here we are today, as we continue life on the hard, working through our boatyard blues, dreaming of being back in the water. One thing I can say for sure, all of this work has really helped us build a strong confident relationship with our boat and I become more confident everyday in her ability to keep our family safe. And when things break, and they will, we will know her and be confident in being able to troubleshoot and repair problems when they arise. Nice new bottom paint, all that's missing is the water! Projects are a part of boat life, it is just a given. When we purchased Empyrean we knew that there would be a multitude of tasks to complete before we could move aboard and even more to get ready to cruise. As soon as we closed the deal and had the keys we began planning for all the projects we would need to complete over the next 9 months to prepare for our departure to Mexico. First on the list was to get rid of leaky diesel tanks. The quote of the labor alone to hire out for this job was more than we wanted to invest, plus what better way to get to know your boat than to rip it apart yourself, and so we dove in. 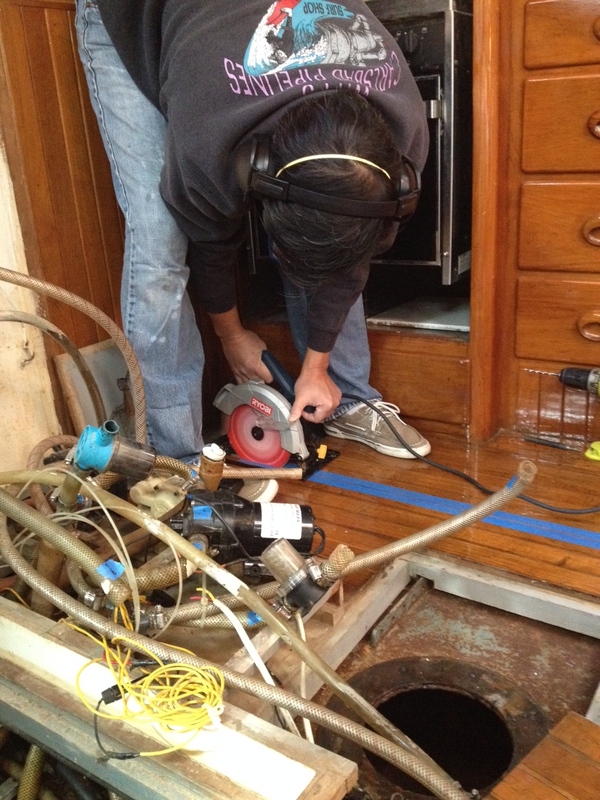 We began by deciphering the magnitude of hoses under the galley sink. Unfortunately the previous owner had passed away and we would be pretty much on our own in trying to figure out his wiring and plumbing plans of years past. We decided on the best way to cut out the galley floor, remove the island and access the first tank. Once we reached the tank we had to figure out how to get this huge steel beast out. We spent weeks cutting through the steel tank slowly chipping away at it on Tom's days off. This definitely was the worst job we had ever done. When we needed a break from the arduous task of removing the tank, we would work on the forward head. We had decided even before purchasing Empyrean that we wanted to have composting heads on our cruising boat. We are striving to be green and saving water along with the benefit of eliminating the odors associated with holding tanks, it made sense to us. The v berth, which our older two girls will share, stunk...bad! We started by pumping out the head, removing the holding tank along with all of the hoses and the old corroded head, it was gross! Which job was worse? Well it is a toss up, backbreaking or nasty.... hmmm? The worst part, there are two heads to replace and we also have two diesel tanks. Back to the tank, we finally got the last pieces out! Tom went to work designing the new tank. We would have to go smaller to get it into the boat. I worked cleaning and painting the space that would house the new tank. We ordered up the new tank and held our breath while we waited for it to be made. We had never attempted anything like this before so we just hoped all of our research would pay off in the form of a new tank that made it through the companionway and fit into the space below the galley. We made the trip to San Diego to pick up the tank. Boy were we excited when we hauled it through the companionway and into the cabin below. Getting it into the hull unfortunately took a little more destruction of the galley but...it's in! We went to work putting the floor and galley island back together. Everything looks great! 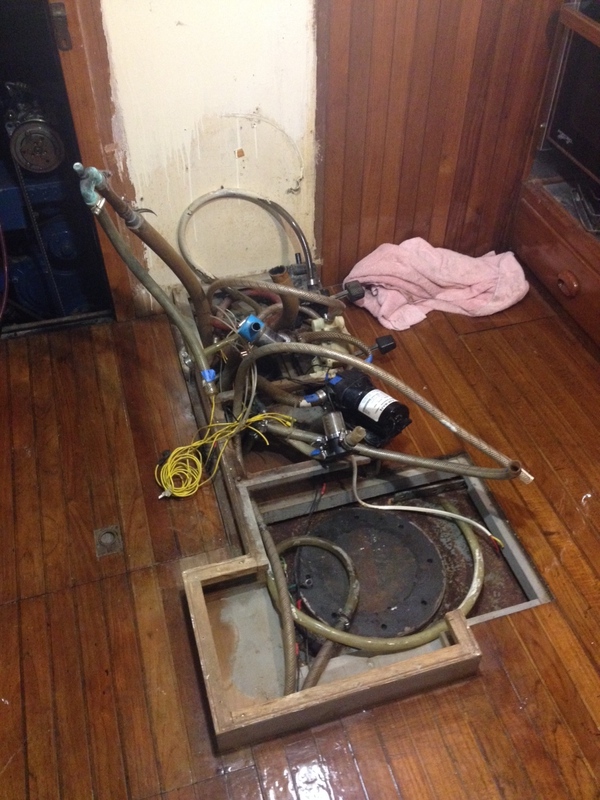 Now we will begin replacing all of the plumbing. With the first fuel tank out we were able to better inspect the second tank and it is actually in significantly better condition so we are opting to not replace it...yet. 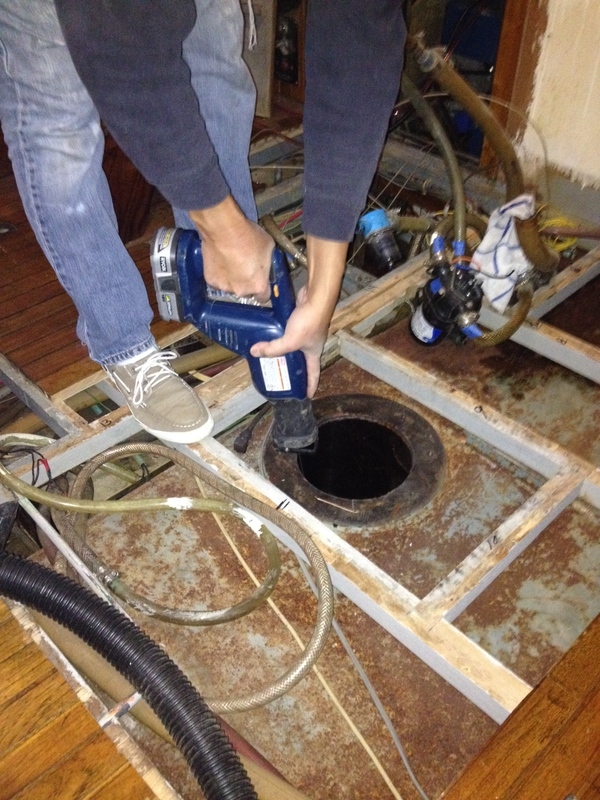 Also we had great access to the hot water tank so we decided to replace it. As far as the head, I used Interlux Bilgekote to give the space a fresh coat of paint. We installed a new faucet, a solar vent and a new NaturesHead composting toilet. Things are moving right along, new fuel tank, one head complete and one to go. Stay tuned as we prep to haul out, prep and paint our masts and replace most of our standing rigging. absolutely love my new Wonderbag! 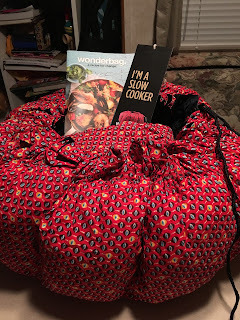 I have to admit I was skeptical when I first read about the Wonderbag's ability to slow cook a meal without electricity. I mean let's be honest, this does sound too good to be true, but after doing some research on the product and the company, I was very impressed and excited to give it a try. An added bonus is that for every Wonderbag purchased, the company donates a Wonderbag to a family in need in Africa. I ordered my Wonderbag and waited patiently for it to arrive. On the day it was delivered I read through the cookbook that it came with and picked a recipe to start with, Hearty Tuscan Bean Soup. I figured this would be a safe choice, nothing to make us sick if we ate it undercooked and I had some leftover ham that I would use in place of the bacon. I followed the rest of the recipe as written. It only took a few minutes around noon to get all the ingredients ready. I brought everything up to temp in my Magma cookware, put the lid on tight and sealed it in the Wonderbag just like the instructions stated. At dinner time I opened up the bag and removed the pot and voila! The soup was piping hot! I scooped it into bowls and Emily garnished it and the family sat down to enjoy. It was absolutely delicious. The flavors were perfect, the soup was hot and in one meal it was devoured. Ok, that was easy and now I was ready to try my hand at something a little more complicated. 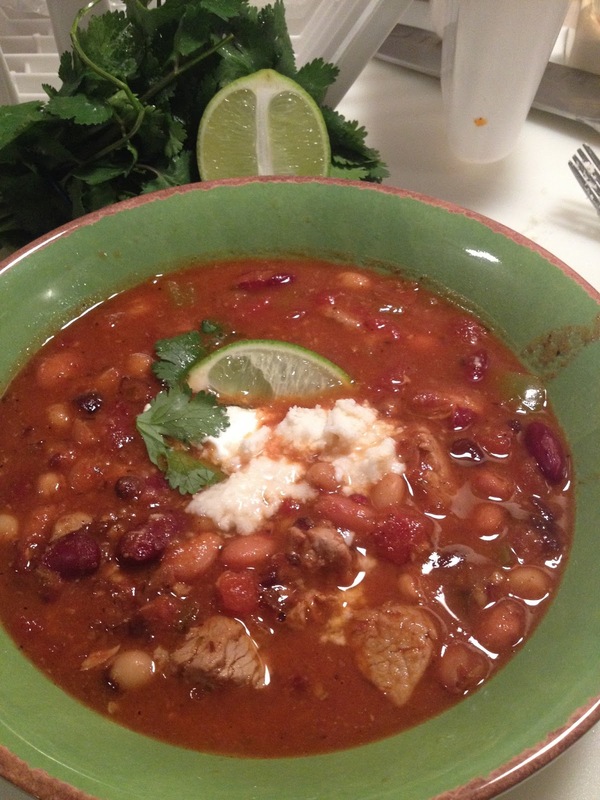 I chose a second recipe, Poblano & Pork Tenderloin Chili. I must tell you that this was one of the most mouth watering dishes. The tenderloin was cooked to perfection, something I would not have believed without trying. The family was sold, the Wonderbag would be a permanent addition! I have since began creating my own recipes, each turning out a huge success. I love that we are conserving energy. I also love that I can get dinner preparations out of the way early in the day before any chaos sets in and have a hot meal when we are ready to eat. The Wonderbag has proved itself worthy of the Empyrean galley and replaced the electric slow cooker forever. So the day has come to list Southwind for sale. We have spent many hours as a family working on her and bringing her back to life and we are hoping that we will be able to find someone who will sail her and enjoy her as much as we have. It is hard to believe that just a couple of years ago Southwind was sitting on the hard waiting for her demise. She is a great boat and deserves to be sailed. It brings us joy to see her sitting in her berth and even greater joy when we hoist the sails out in San Diego Bay. We knew that the day would come to part with her because she just wouldn't be large enough to accommodate our family on a long journey. Empyrean is now enveloping all of our time and energy as we prepare her for offshore and therefore, it is time to allow someone else to step in and find adventure in the smooth sailing on Southwind. If you or anyone you know may be interested in owning this classic sailing vessel please feel free to send us a message and we can answer any questions you might have.